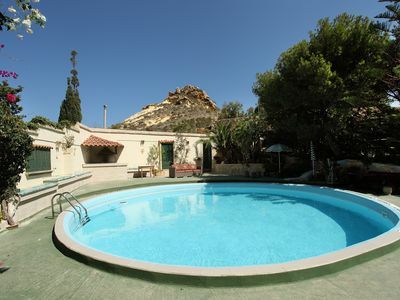 Large ground floor home with large rooms, own entrance and large private swimming pool and garden in Marsalforn, Gozo. This is not just an ordinary rental home, it was built and furbished with love and care by Derek and his wife Marian and has been used as their private family holiday home for many years. 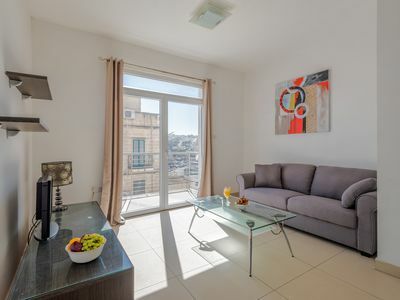 It is located minutes walk from the sea and the largest tourist residential area in Gozo with beaches, dive centres, restaurants, bars, cafes & shops. 2 BEDROOM SAINT JULIAN'S FLAT WITH PATIO - NEAR THE SEA!